Since Poland’s startup scene has seen quite some action in the beginning of the year, we decided to include the news in a separate digest. Estimote, one of the leading beacon companies in the world, closed a $10.7M round led by Javelin Venture Partners. The funding will be used to scale the business and to cater to the specific needs of existing customers, among which are the largest retailers and more than half of the Fortune 100. Estimote offers to retailers an opportunity to marry offline and online shopping experience through leveraging beacons and indoor navigation technology. Basically, it enables the sellers to launch personalized marketing campaigns/promotions targeted at a specific customer who was passing by or entering the shop. GoalEurope wrote about Estimote in our September’15 recap, and earlier in 2013. More on the recent investment round on TechCrunch. Prowly, a SaaS platform for PR pros meant for streamlining brand’s communications secured $1.1M in pre-series A. The investors, Polish as well, are Internet Ventures fund and a digital marketing agency Bluerank. Internet Ventures fund is managed by Private Equity Managers Group, whose shareholders include National Capital Fund and MCI Management. The money will be used for expansion to the foreign markets. Prowly offers a tool for integrating all brand’s communications in one Brand Journal, which tells the brand’s story continuously in various formats – videos, press releases, posts in blogs and on social networks. Communication managers at IKEA, Spotify, and National Geographic are among Prowly’s subscribers. Earlier in 2013, the startup has gained its first investment from Ventures Hub (IQ Partners’ fund portfolio), which allowed them to build beta-version and to gain its first paying customers. Read more in the press release. LiveChat Software, a Polish company successful globally, acquired 11.5% shares of Brand24, a social media monitoring and analytics tool. Brand24 has recently secured $360K investment, and they have Intel, IKEA, H&M, Vichy, Leroy Merlin among their clients. It is valued at more than $28 million (at current exchange rate). Source (in Polish). The deal between PwC’ and Outbox, a developer of a cloud-based CRM, customer experience and marketing automation solution, was signed on December 31, but is closed in February. With this deal, one of the world’s top consultancies is looking to strengthen its presence in CEE and to power up its digital capabilities, as well as to tap into the €6 billion market of CRM and customer experience services. Learn more on Tech.eu. Louis Vuitton product placement, or sleeping mask ad? 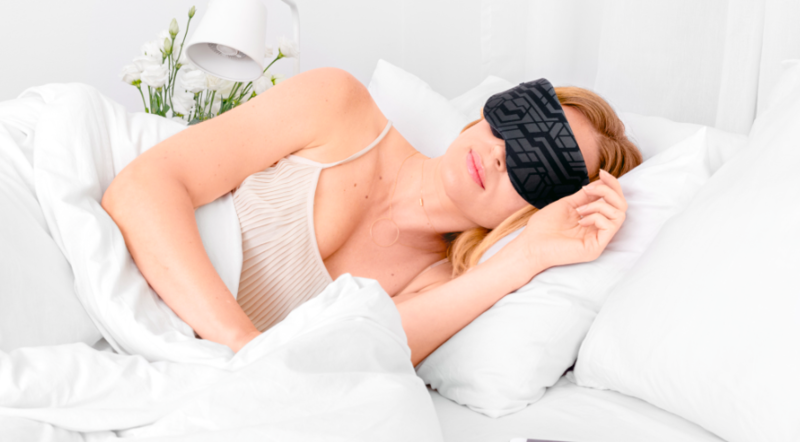 The Neuroon is the first consumer device on the market that can analyze human sleep by monitoring brain waves, analyzing the user’s sleep architecture, calculating a sleep efficiency score, and offering optimization advice. With the help of the Bright Light Therapy, the wireless mask can alleviate jet lag, improve sleep efficiency, and help the user to fall asleep faster. The Neuroon comes with the dedicated mobile app available for Android and iOS. Inteliclinic has already seen success with its product on the crowdfunding campaign on Kickstarter, where they were backed with $438,573. Preorder was available since 2014 with the price for the entire set at $299. View the press release.